First…our thoughts and prayers go out to those folks suffering from the fires and low water conditions in South West Colorado and other parts of the country. We feel very fortunate to have plenty of cold, clear, water in our river. The fish are healthy and fighting hard. 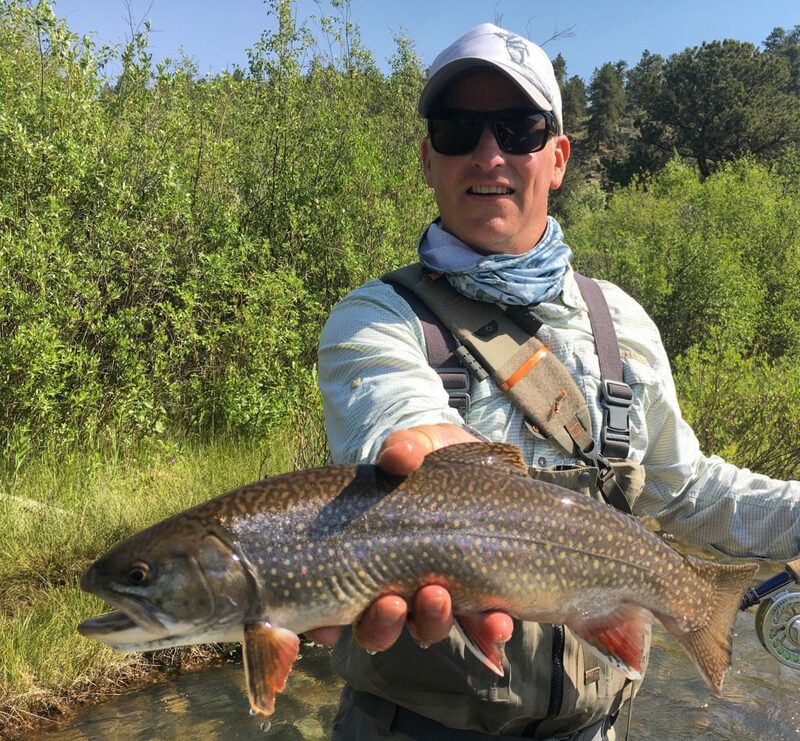 John S. landed this beautiful 18 inch Brook Trout on a recent trip to Boxwood. His guide, Jeremy Hamilton, from 5280 Angler put him on the fish. There are still some days left to book this summer, but only a few. If you can’t make it this summer look at some fall dates. Gin clear water and sight fishing for really large Trophy size fish are in store for our fall anglers. Call one of our outfitters and get in on the action.